Thank You for lodging your Tax Return with us. Your Tax Return has been received and it has been sent to your chosen office. They will contact you by your preferred method, phone or email. You can get the direct phone number for the branch you chose from our contact page. We may will still require a few things from you, so please have these handy. You could scan them now and have ready to send if required. 5 Motor Vehicle Log Book if relevant. The Tax Agent is currently checking with the ATO to see what information they already have for you. For Example, if the ATO has your PAYG summary on file already, we wont require that from you. They will also check to see if all prior year returns are completed. If not, they will also see if the ATO has any information for those years. This could mean more money for you! Thank you again for choosing Tax Today for your Income Tax Return, we will always get you the best possible refund based on your circumstances. 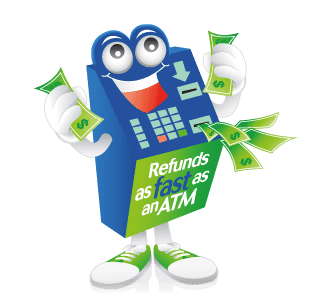 Instant Tax Refunds are our specialty. Call 1300 829 863 Tax Today, Australia’s leading Tax Agents that provide Instant Tax Refunds, have offices in Sydney, Melbourne and Brisbane. You can even do the tax return online. This is to speed up processing when you come in. To assist in identifying you with ATO. We prefer mobile number if possible. If you want a specific Accountant, enter their name here.